Bling bling! For Tyga’s birthday on Saturday, November 19, girlfriend Kylie Jenner gave him a 60-carat diamond bracelet. According to UsMagazine.com, Jenner showed off the new bling via her Snapchat, displaying the bejeweled bracelet on Tyga’s right wrist. The celebrity couple then was caught on camera hugging. This follows the surprise party Jenner gave her boyfriend on Thursday, November 17. In celebrity news, this gift seems extravagant! What are some budget-friendly gift ideas for your partner’s birthday? Surprise! Kylie Jenner and Tyga’s 4-year old son, King Cairo, threw Tyga a surprise 27th birthday party ahead of his birthday on Saturday. According to EOnline.com, the party was at Kylie’s home, which was decorated with balloons and gifts. Jenner also made sure to include some of Tyga’s favorite foods, including fried chicken and two cakes. 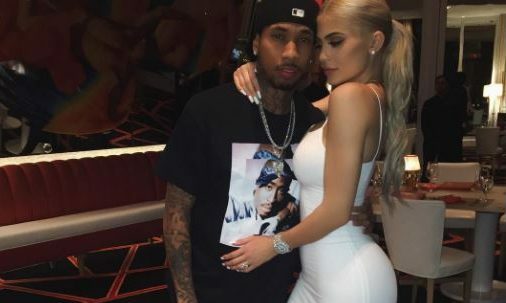 When Tyga walked into the kitchen, Kylie was waiting with King, who was standing on the counter singing “Happy Birthday.” Jenner made sure to capture the celebrity news on her Snapchat. 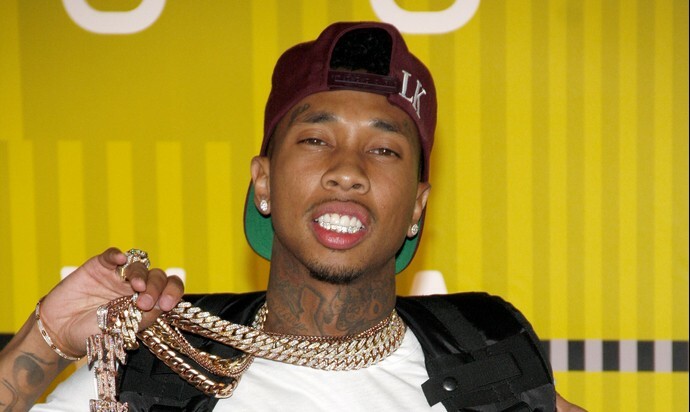 This celebrity news has us thinking Tyga should feel pretty special! What are some ways to make your partner’s birthday special? If you didn’t hear the celebrity news, Tyga and Kylie Jenner are back on. This week, they celebrated the 4th of July together. Whether it be Instagram or Snapchat, the celebrity couple was seen kissing and hugging each other. Jenner even referred to Tyga as ‘her husband’. According to UsMagazine.com, the celebrity pair has moved in together as of last month. As famous relationships go, this one seems to be going in the right direction. A source says, “They are officially back together and he is staying there with her.” Followed by, “It’s up in the air if he is going to live there permanently or is just staying there for now.” This duo always seem to find their way back to each other. It looks like this celebrity couple is back together officially. What are some things to consider before getting back together with your ex? There may be a new celebrity couple in Hollywood, and some people are not happy about it. 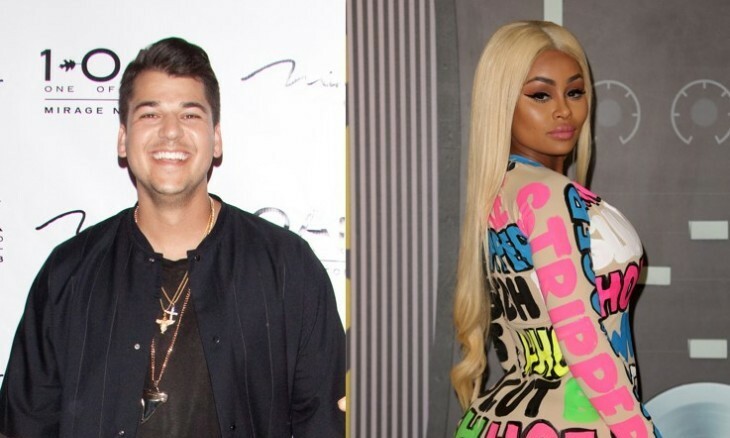 There have been rumors, according to UsMagazine.com, that Keeping Up with the Kardashians star Rob Kardashian is dating Blac Chyna. Chyna posted a telling Instagram photo that depicts an arm around her. That arm has tattoos that look suspiciously like Kardashian’s. This celebrity news may start a riff between Kardashian and his family. Chyna was previously with celebrity ex Tyga and also has a baby with him. He is now dating Kylie Jenner. Let’s hope there is not too much drama down the road! This celebrity news is drama-ridden! What are some things to consider before stirring up drama by dating someone your family doesn’t approve of? There’s always something stirring when it comes to rapper, Tyga. According to UsMagazine.com, the rapper has reportedly been contacting 14-year old Molly O’Malia behind Kylie Jenner’s back. O’Malia, a singer and model, accused Tyga of sending her very uncomfortable messages. Tyga denied the claims, telling sources he only wanted to add the talented O’Malia to his label. The other half of Tyga’s celebrity couple-dom, Kylie Jenner seems to be disregarding the celebrity news, and posts Instagram pictures of herself amid the drama. This celebrity news doesn’t look good for Kylie and Tyga’s relationship! What are some ways to know whether to support your partner or move on? 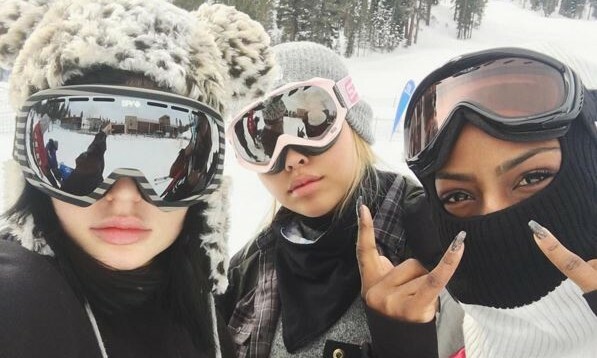 Celebrity couple Kylie Jenner and Tyga took a New Year’s ski trip together with friends. According to UsMagazine.com, the two were spotted in Mammoth Lakes, California. Their celebrity relationship has never really been confirmed, but the two enjoy each other’s company and are always traveling together. They recently took a celebrity vacation together to St. Bart’s with the Keeping Up With the Kardashian’s clan. This celebrity couple is ringing in the new year with a romantic ski trip. What are some resolutions you can make with your significant other? While Kylie Jenner and Tyga have only recently opened up about their controversial celebrity relationship, they appeared to be all smiles in a recent impromptu Q&A session. According to UsMagazine.com, the young famous couple said they avoid fighting by trying to always be optimistic and just have fun. 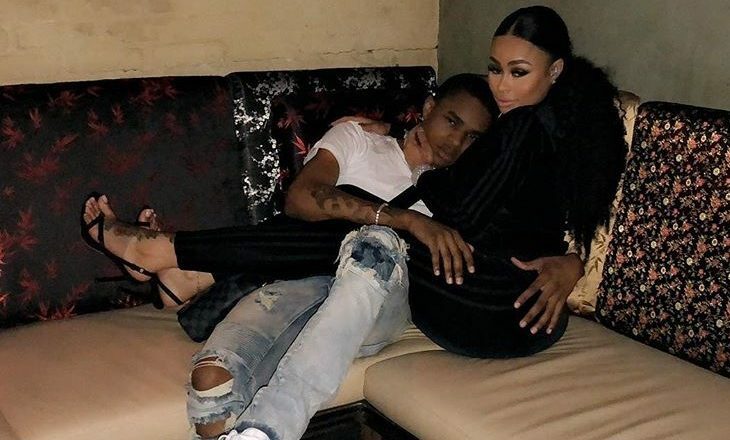 Tyga dished some insightful love advice saying, “You gotta live for yourself and better the people around you and make an impact.” The pair have been dating since earlier this year. This celebrity relationship hasn’t hit any rough patches as of yet. What are some ways to keep fighting to a minimum in your relationship? …Keep up with other celebrity relationship by clicking here! Ah, young love! If the headlines aren’t talking about the latest celebrity break-up, they’re talking about the celebrity love between Kylie Jenner and Tyga! This celebrity couple has been out and about a lot together and UsMagazine.com reports that Jenner and Tyga’s latest appearance together was at NYFW (New York Fashion Week). Jenner rocked it in a tight, black-long sleeve dress while Tyga sported an all tan attire accompanied by new gold grills. This celebrity couple sure know how to make a splash when they’re out! This new celebrity couple isn’t being shy about their relationship. What are some ways to bring your relationship to the public eye? Is Tyga Feuding with Celebrity Ex Blac Chyna Over Kylie Jenner’s Ferrari? Could you imagine feuding with your ex over luxurious cars while flaunting said cars over Instagram? That’s exactly what’s happening with Tyga and his celebrity ex Blac Chyna! According to UsMagazine.com, this fiery, flashy feud began with Tyga and his ex celebrity love when Tyga posted an image of himself on Instagram and Blac Chyna’s best friend, Amber Rose responded with a picture of her pink Ferrari! This, in turn, prompted Tyga to post an image of his own flashy car, a black and gold Bentley. 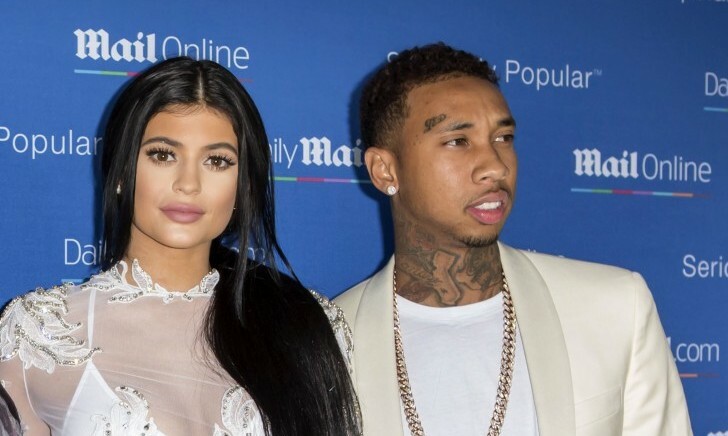 Apparently the heated exchange began due to the fact that Tyga believes Blac Chyna is involved with spreading the rumor that Tyga is leasing Kylie Jenner’s Ferrari rather than having bought it outright. 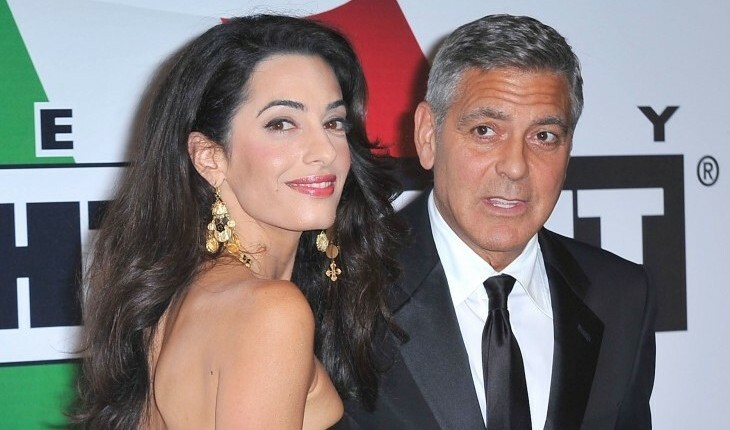 These celebrity exes aren’t happy with each other. What are some ways to keep drama with your ex at bay? With all the news floating around of celebrity divorce and infidelity, it’s nice to get a breath of fresh air and see that some relationships and love are still going strong! The last thing we need is to lose hope when it comes to celebrity love! UsMagazine.com recently highlighted Kylie Jenner and her celebrity love Tyga, the inseparable couple that attended the 2015 VMA’s together Sunday night. The celebrity couple sat front row and center for the award show. This celebrity love is still going strong! What are some ways to build a solid foundation for your relationship? …Want a love like Kylie and Tyga’s? Click here to keep reading! This celebrity couple is packing on the PDA. What are some ways to show your love for your partner in public?